Light up her look with the vibrant Classic Slip-On Platforms from Vans™. Canvas upper with ribbon laces detail. 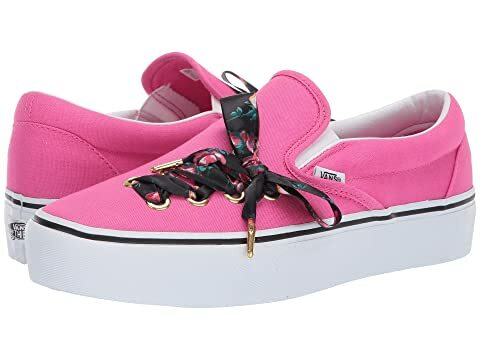 We can't currently find any similar items for the Classic Slip-On Platform by Vans. Sorry!